Former FARC commander “El Paisa” failed to appear at his first hearing before Colombia’s war crimes tribunal almost a year after he went underground. Hernan Dario Velasquez, a.k.a. “El Paisa,” went missing together with approximately 10 other former mid-level commanders after the controversial arrest of the FARC’s long-time ideologue “Jesus Santrich” over an unsubstantiated drug trafficking claim made by the US government in April last year. El Paisa and the FARC’s political leader, “Ivan Marquez,” have said they would cooperate with the Special Jurisdiction for Peace (JEP) once they receive the judicial security they won’t be extradited to the United States as agreed in the 2016 peace deal that led to their demobilization and disarmament. But despite their promises, the FARC leaders refused to meet with JEP investigators who went looking for them last year. El Paisa was supposed to submit his testimony regarding case 001, relating to the FARC’s hostage-taking, a practice that victimized thousands of Colombian soldiers and civilians. 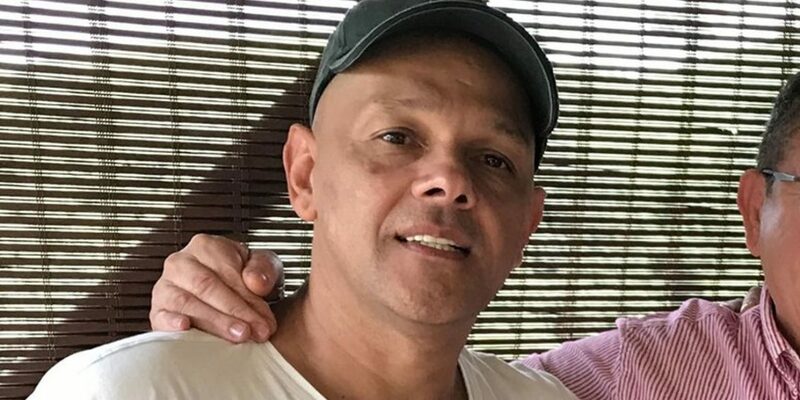 Of the 31 commanders who were ordered in September to prepare and give evidence, the former commander of the Teofilo Forero Mobile Unit is the first to fail to appear before the court. The legal consequences of this failure will be decided by the JEP, which has already warned El Paisa he was failing to comply. He did not request an extension and has not given any reason for the failure to present his report. He now has three days to do so. If he continually fails to show up, he will lose the benefits of the transitional justice process that include being shielded from imprisonment and extradition. The ex-guerrilla chief is part of a group of ex-combatants who claim that the government has consistently failed to comply with the peace deal in regards to reintegration, judicial security and personal safety. More than 85 ex-guerrilla fighters have been assassinated since the group signed peace with former President Juan Manuel Santos in November 2016. El Paisa has been convicted 26 times for kidnapping, and is alleged to have been involved in six more kidnapping cases. The arrest warrants against the former FARC commander would be reactivated immediately if the JEP decides to remove him from the peace process.